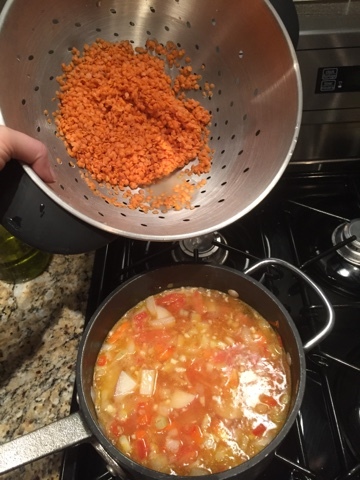 Red lentils are tasty and easy to make, which makes them a good legume to have on hand. 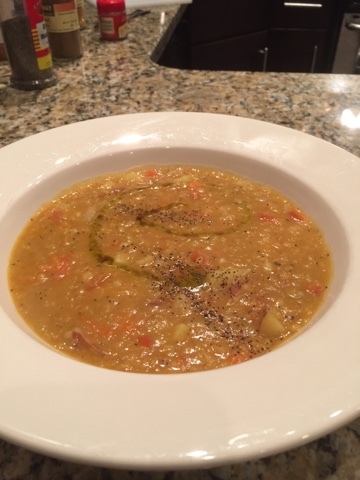 Here is a lentil soup I made the other day. I added a lot of "extra" veggies and spices, but you can make it as simple or as complex as you want. Just see what looks good in your kitchen! Heat up oil in pan over medium-high heat, add all the veggies and cook until the potatoes start feeling slightly soft, about 5-10 min. Add water and bring to a boil. 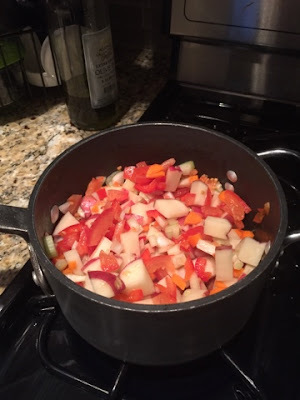 Adjust the water as necessary so that everything is submerged (will depend on how many vegetables you include). Add the lentils, return to a boil, and then lower to a simmer. The lentils take about 20-25 min to fully cook. As they cook, keep an eye on the water level and add more if necessary so that it maintains a "soupy" consistency. 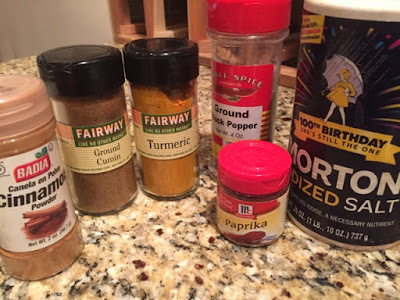 Add any spices you like, and taste as you go. Definitely add at least salt and pepper. 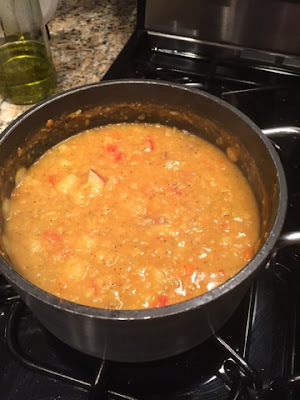 I was inspired by an Egyptian lentil soup recipe I found, so I added cinnamon, cumin, turmeric, and paprika as well. Mix everything together. 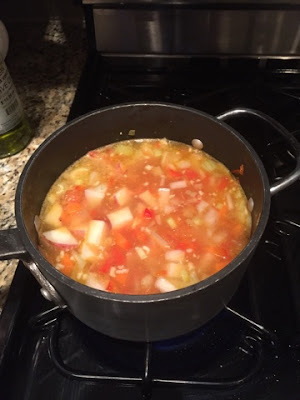 Soup is ready when all the lentils and vegetables are cooked and soft. Serve topped with a drizzle of olive oil and some fresh ground pepper. Yum!